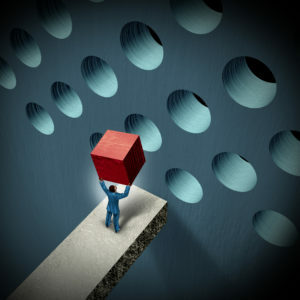 Business management challenges concept with a businessman holding a cube trying to make it fit in a round hole as a symbol of overcoming obstacles and adversity through strategy and strong leadership. Names and Logos have MEANING. Behind many of the powerful names today there are hidden factors of numbers and Gematria. We will help you with your most important asset, YOUR NAME. We can have a conversation with you about your new domain. Should you stick with “dot com”? 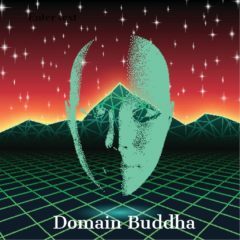 Or go with the new “top level domain extensions”? There’s a lot to consider. For instance, some of the new domain extensions have a reasonable price to obtain, but a huge yearly fee. Some businesses have a lot of latitude for a name. A restaurant could have a flippant or flamboyant name. But if you have a pizza restaurant, it would be best to have the word “pizza” in your name. Every case is different, and we are here to help you. The most important thing is to do a lot of advanced planning. Think about your web page, what is it that you want it to do? Looks and design are one thing, but the important matter is to have it function in a way that brings you business. Chat with us to get started. We’ve got cameras! We know it is not for everyone, but marketing using video can be effective. You may not need a feature film, but some customer testimonials can’t hurt. 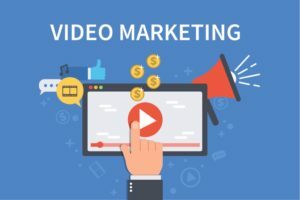 We have figured out many ways to use video, and you may want to explore this ever more important way to promote your business.